A friend just introduced me to OrientalFurniture.com which is quite possibly the largest online retailer of room divider screens. 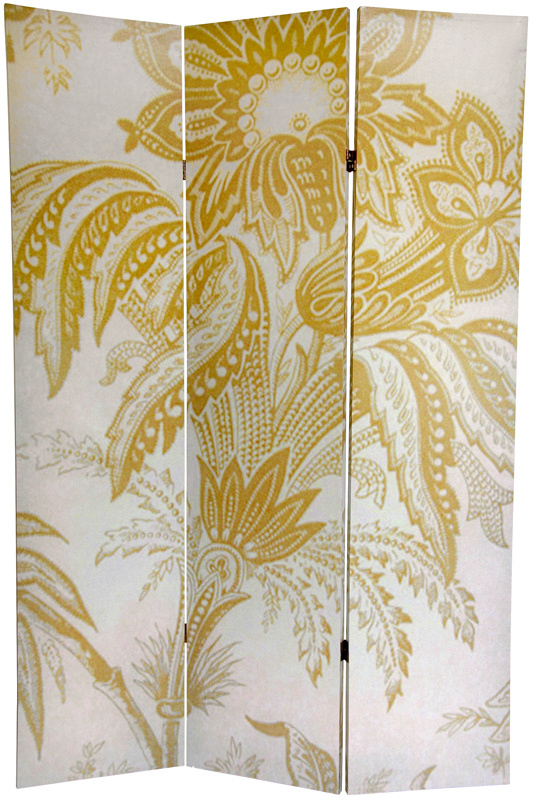 From traditional shoji screens, to southern plantation shutters style screens, to Chinese paintings, to photo printed fabric screens, they have it all. They even have blank canvas screens that you can paint yourself. What seem to have the most bang for your buck, though, are the photo printed screens that cost on average of $99. Of course, I would be careful in selecting your photo screen. The Ghandi screen, the Mount Rushmore screen, and the Mona Lisa screen, well, let's just say require a certain type of taste to appreciate. 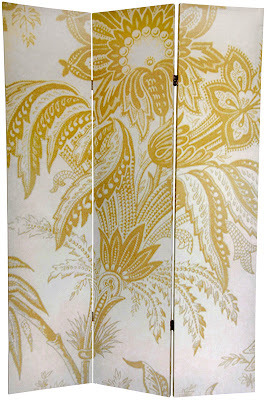 But this floral screen could look beautiful as a room divider, headboard or large piece of art. 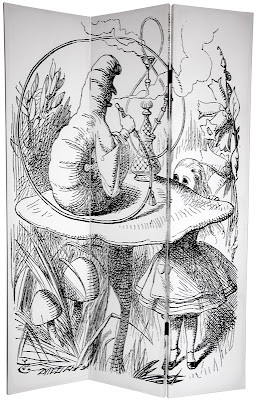 Even this Alice in Wonderland one could be really interesting in a black and white room. 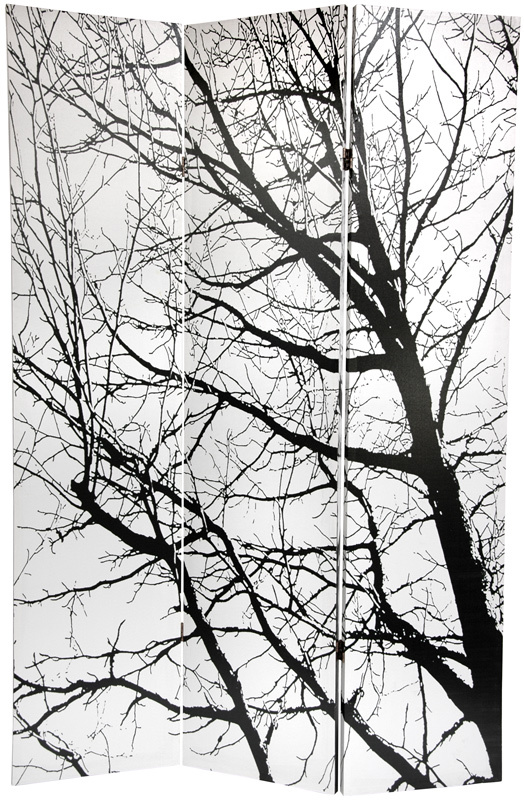 And this tree silhouette screen would be pretty dramatic in a modern interior.